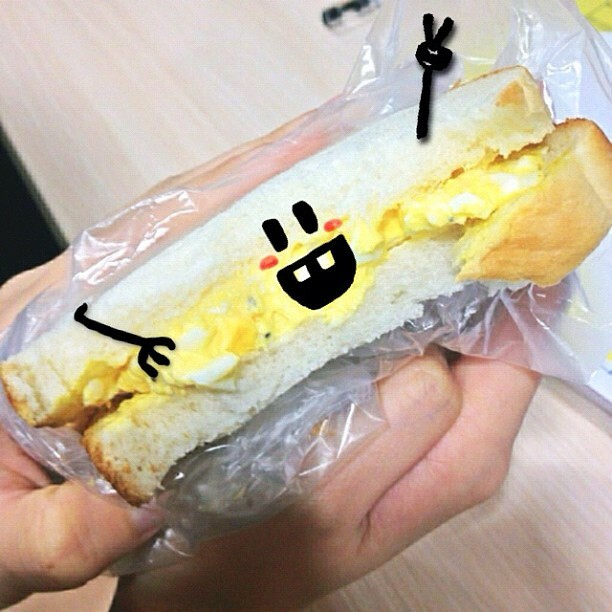 Making a simple egg mayo sandwich! 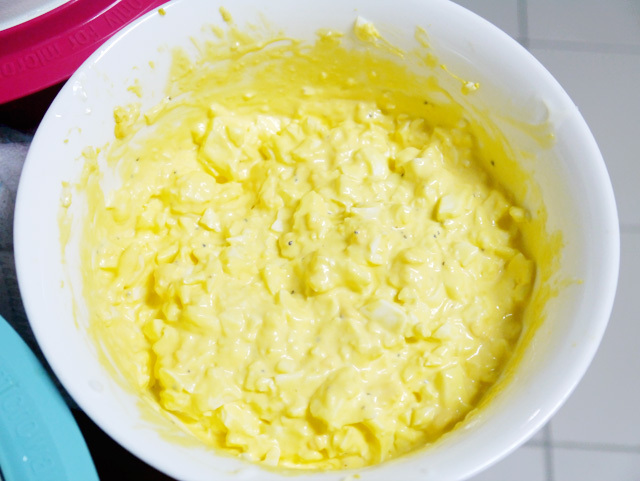 I love egg mayonnaise, but I've never thought of wanting to make egg mayo myself before. Never really had the thought or any sort, but it suddenly struck me when I was having Subway the other day with my friend after school! Cause you know, the typical me will always add-on extra bacon strips or egg mayo to my original sub.... 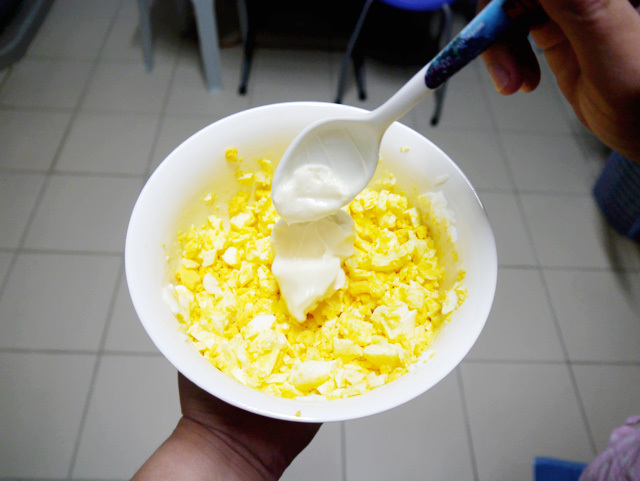 So I added-on a scoop of egg mayo that time, and when I was having it I thought to myself "Why not I just try to make egg mayo myself since it's not really that difficult to do so?". 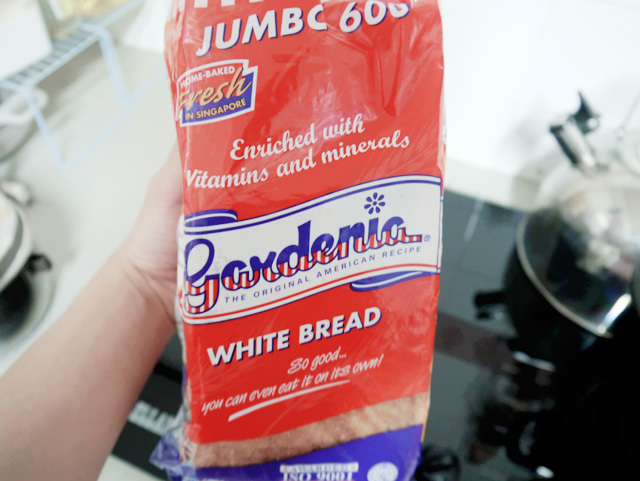 And so, I immediately went over to Cold Storage with my friend and we started buying some essential ingredients and I then went back home to start making! Very efficient right me? Hahaha!!! 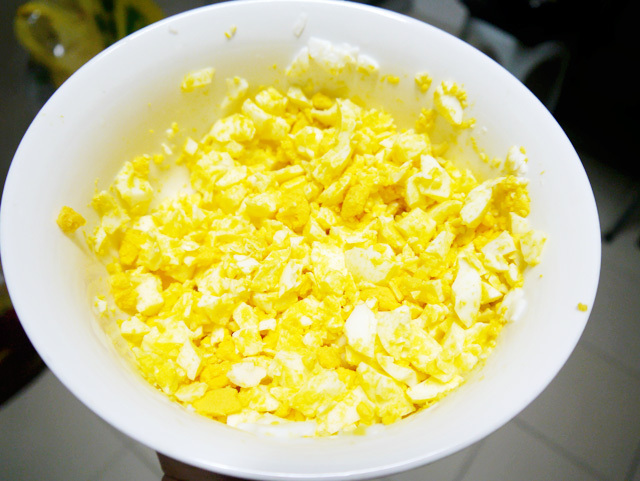 Well, I did it without really checking the recipe or following them cause I thought it's just egg mayo and it's very simple to make! Although afterwards when I went to check and I then realise that I lack of one of the ingredient, mustard! Which I think it isn't a big deal cause it still taste quite delicious lolol! 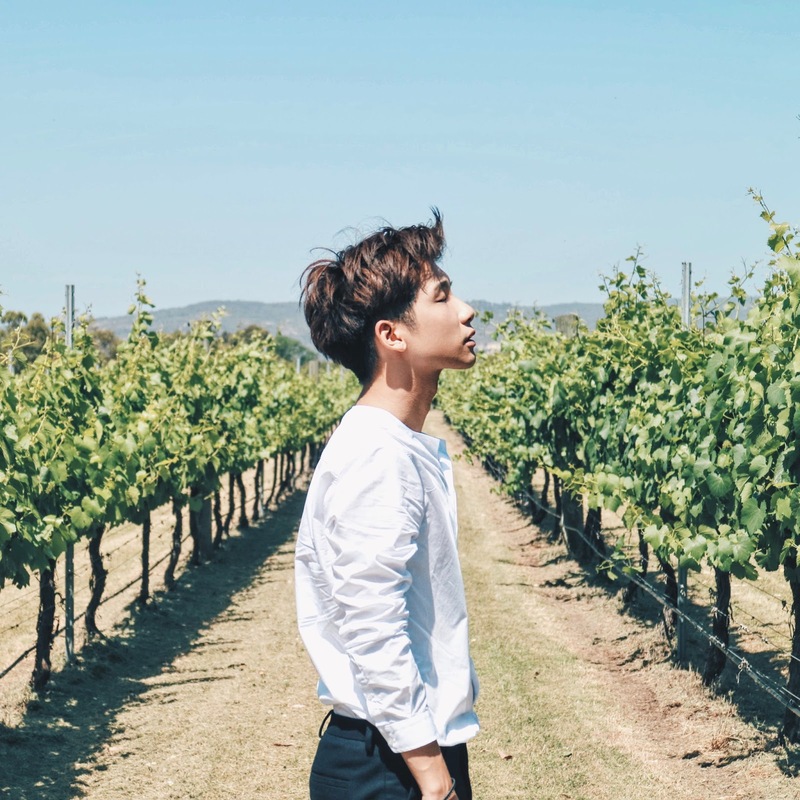 No, I never self-praise myself okay! All my friends who tried it all tell me that it's delicious one! And no, they are not lying to me (even so, I refused to believe hahaha)! But I also did tried it myself, and I also think it's quite yummy too okay! Hahaha!!! 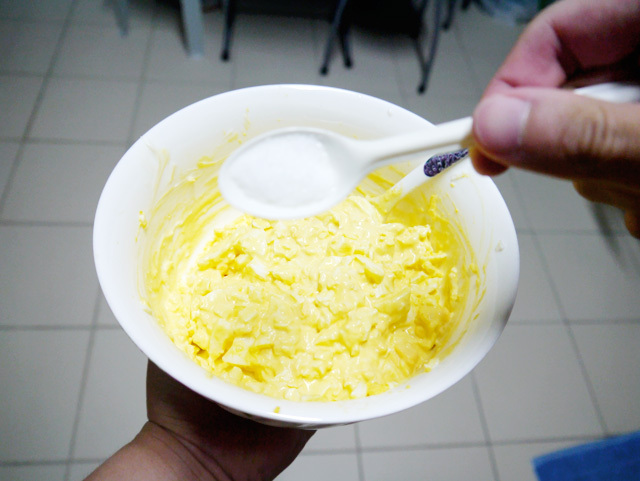 So for those who wanna make egg mayo, you can try it out! First, you obviously need to buy/have some eggs! Yes, I placed them in a pot of water cause we are going to boil it later! Then you need mayonnaise!!! 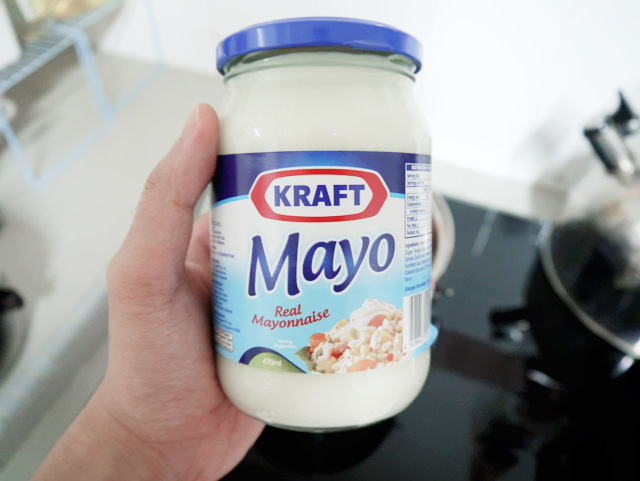 I love mayonnaise!!! Then you need to get bread! And that's about it, can start making already! 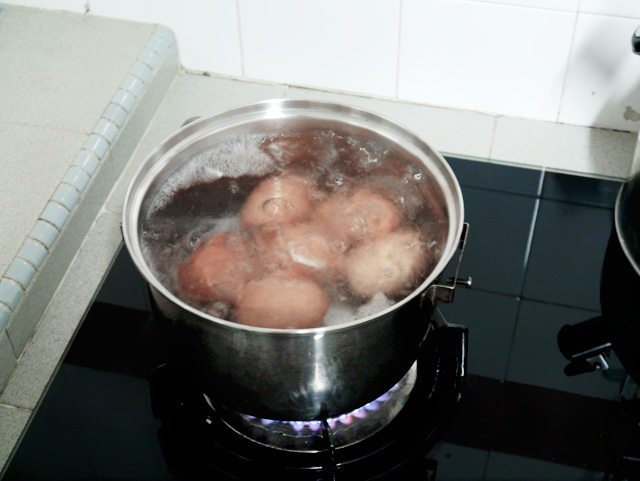 So first of all, we have to boil the eggs! 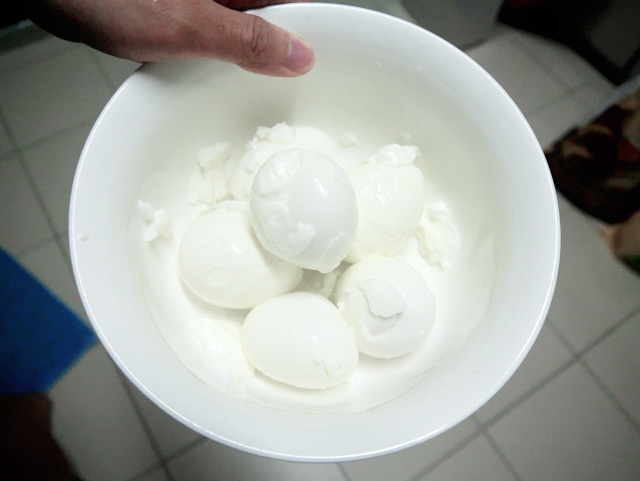 Yup, here you have the hard boiled eggs after peeling it! But I don't know why I had a hard time peeling off the shell that day! Tsk! 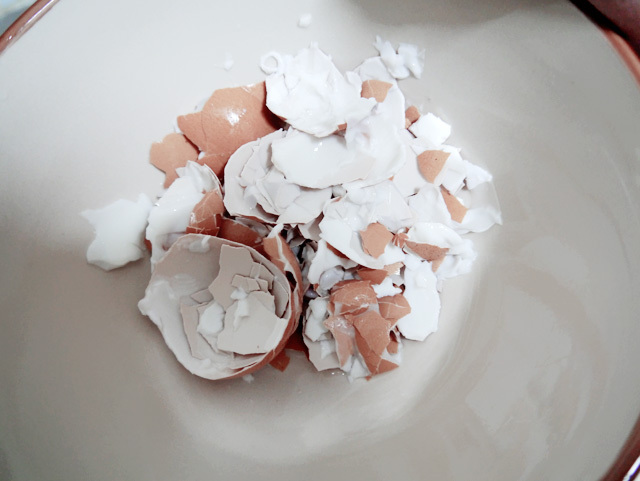 Next, I just anyhow slice and cut the hard boiled eggs into small pieces! 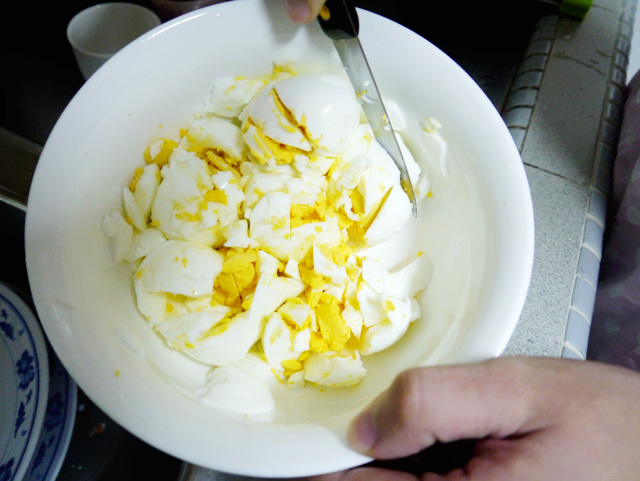 Not really sure about the proportion of egg whites and egg yolk but from what I checked, we have to throw some egg yolks away and have more egg whites! But I only throw away 1 egg yolk only lol! We then have to add in mayonnaise! Around 2 tablespoon will do! Then you mixed it and gauge it from there, if it needs more mayonnaise then add more! Then add in some salt! Then you mixed it well, and you're done!!!!! 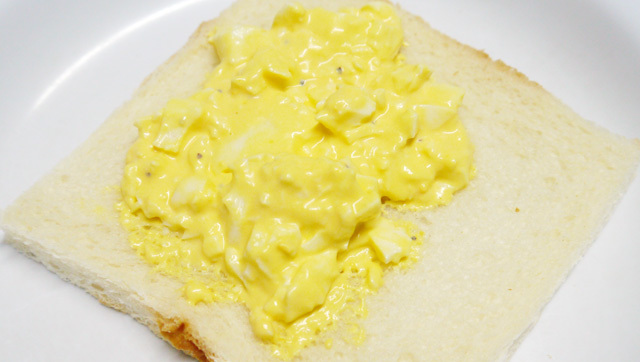 Your very own egg mayo!!! Spread it on bread and you have your egg mayo sandwich already! Yeah, really simple right! 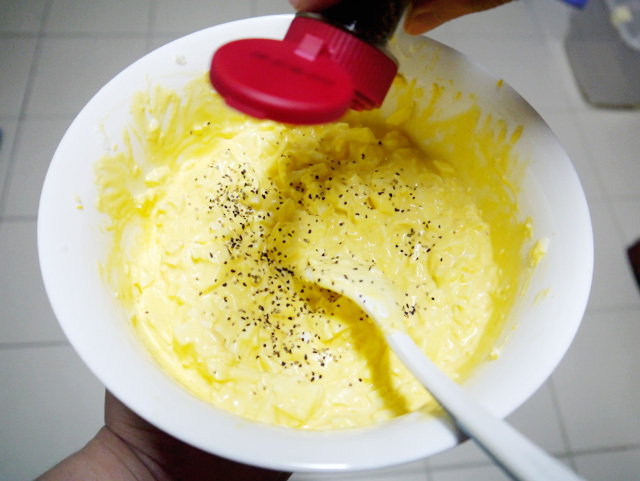 So next time if you guys are hungry or sort, you can try to do egg mayo yourself cause it's so fast and easy! I'm sure gonna make more for my friends and family soon! In California it's called egg salad hahaha. Paprika would make it even tastier! 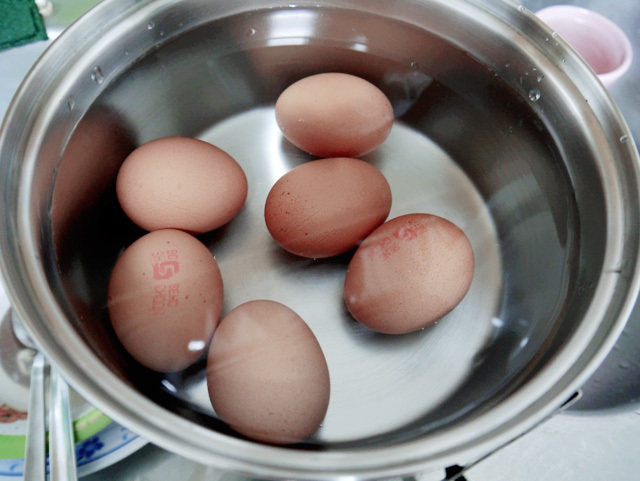 Did you add salt to the water while boiling the eggs? If not, it will be very difficult to peel!! don't need to add much salt to the egg salad mix. you can try miracle whip (instead of mayo), or add some relish for more zing! Does this taste good? Coz' I wanted to try making it. Is there any good things that can be added on to this recipe?